Fall or Summer? Big Lake Campground has Northern Michigan Chill. Home › Events › Fall or Summer? 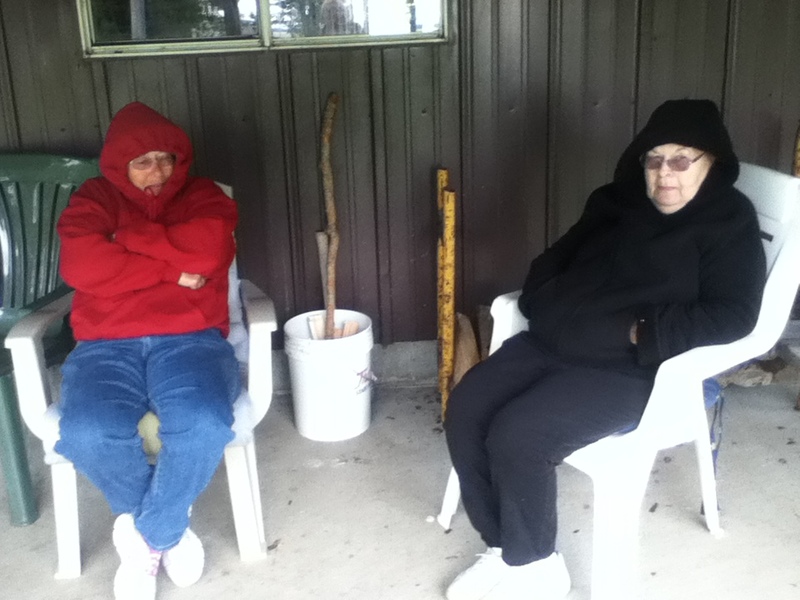 Campers, Marcia and Kathleen try to stay warm up at the porch. After our helluva winter, we rejoiced when spring came. Then we bowed to Mother Nature when the snow and ice finally moved out. So why? Why has summer taken a time out? We had an amazing Fourth of July with a packed house and are hoping for more amazing (warmer) weather!